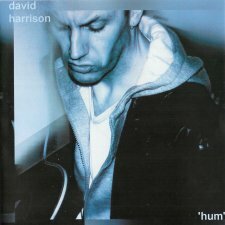 Review: "Harrison, David: Hum" - Sea of Tranquility - The Web Destination for Progressive Music! Inspired by Nick Drake, singer/songwriter David Harrison is creating a stir in his native Liverpool � and it's easy to hear why on his debut, Hum. His dusty vocals set against pretty, laid-back soundscapes often consisting of little more than acoustic guitars and minimal programming, effectively create alternatiing musical moods via catchy tunes like "Lost in the Ocean" and "Luminous Circles" and more-reflective pieces such as "Maganda Khar" and "Megan." Elsewhere, "It's Not Your Scene" and "She Loves the Sun" outright (and unexpectedly) rock, and "Lucky Clover" boasts a progressive flute arrangement that reveals Harrison's prog and psychedelic influences. When Harrison is not taking an overtly direct lyrical approach, as he does on "Get Out of My Hair," Hum wallows in sort of an eerie and mysterious otherworld that may appeal to fans of softer progressive music who favor structure over experimentation. Spin this one during some of your quieter moments; for better or for worse, it's guaranteed to alter your mood. I rate this album a 5 star - top quality recording. Very soulful with beautiful melodies. I can hardly wait for his new EP 'Creative Garden' coming this Fall! superb!...dulcet tones with infectious melodies and overall spirited..
A great Liverpool underground album. This is an excellent album, reflects the music of Liverpool at the moment!